Just hours before its current bailout expires, Athens has proposed it’s thirds bail out plan, a new two-year deal with debt relief. According to a government statement, Greece is asking for a new bailout program from the European Stability Mechanism (ESM), that would cover the country’s financial needs for the next two years. RT reports: The request also includes a restructuring plan for Greek debt to the European Financial Stability Facility that accounts for about 63 percent of the Greece’s total debt. The Greek government said it will continue negotiations with the Troika in order to seek a “viable” agreement within the eurozone. Earlier on Tuesday Greek Finance Minister Yanis Varoufakis said the country would not meet the IMF payment deadline. 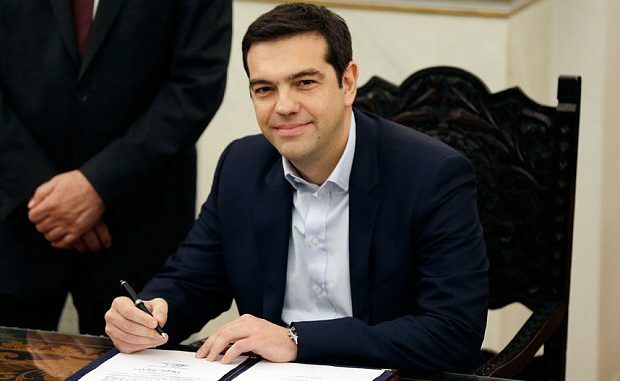 Tsipras said the country is going to face “pressing financial problems” in the second half of 2015 and for all of 2016. This is because Greece hasn’t yet received the last €7.2 billion installment of the second bailout package, and the country didn’t have an access to the international markets. He added that capital controls imposed on Monday were inevitable as emergency assistance to the banks known as ELA was frozen at €89 billion. After the June deadline to repay €1.6 billion to the IMF expires at 6 pm Washington time today, the IMF will classify Greece as being “in arrears”, which is seen as being virtually the same as default. Over the weekend Greece’s Prime Minister Alexis Tsipras announced a referendum for July 5, when Greeks would vote whether to accept the latest proposals from the international creditors. The decision to hold a referendum does not mean an end but the continuation of negotiations with the creditors for more favorable conditions for the Greek people, the statement added.